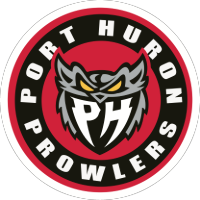 Dalton Jay of the Port Huron Prowlers has been called up to the East Coast Hockey League to play with the Allen Americans out of Allen, Texas. Jay, the top point getter for the Prowlers leads the team with 104 points and is coming off an 8 point weekend in Port Huron. Jay, a native of Hamilton, Ontario, is in his second season with the Prowlers. With two regular season home games left for the Prowlers and playoff seeding set for the Federal Hockey League, the ECHL call-up made sense for Jay. He's excited for the opportunity to showcase his talents at a higher level and to be in an area with much warmer weather than Michigan right now since we just got another batch of snow on Sunday. Jay says, "I love Port Huron, but this cold weather stuff just stinks sometimes. If I can go soak up the sun for a bit during my off-time I'll just treat it as a quick vacation before coming home after the season is over." It's not looking like he will be back in time for for 2019 playoff games against the Carolina Thunderbirds.